Kathryn Sermak is the co-founder of the Bette Davis Foundation and co-executor of the Bette Davis Estate. 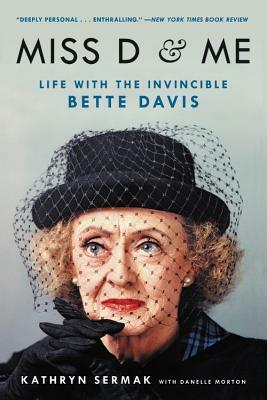 In addition to Bette Davis, Kathryn has been personal assistant to HH Princess Shams Pahlavi; French actress, Isabelle Adjani; the statesman and journalist, Pierre Salinger; astronaut Dr. Buzz Aldrin, Motown Founder, Berry Gordy Jr.; famed American designer, Patrick Kelly; and the co-creator of Where's Waldo, Michael Gornall. Kathryn was also among the first to receive the Personal Assistant Career Award in 2003. Visit her at missdandme.com.